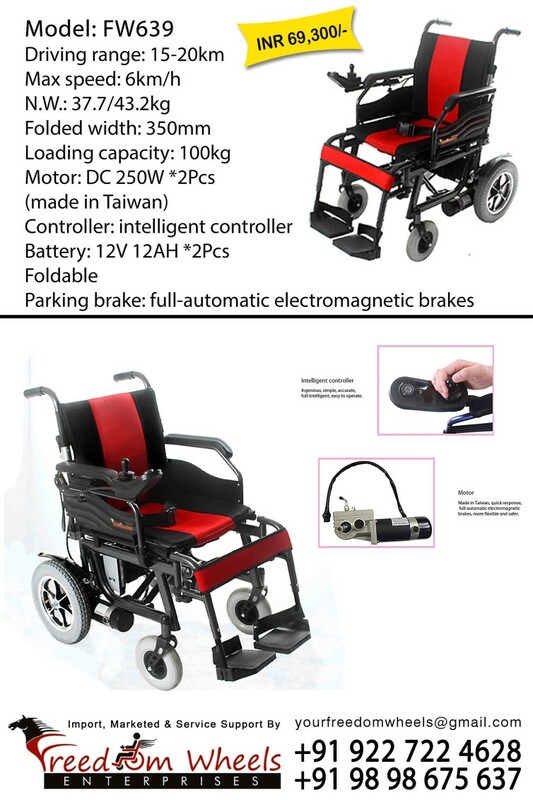 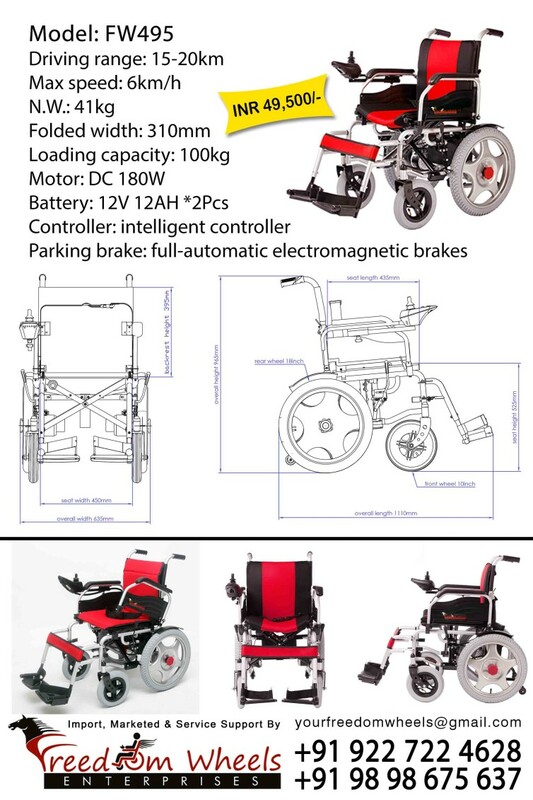 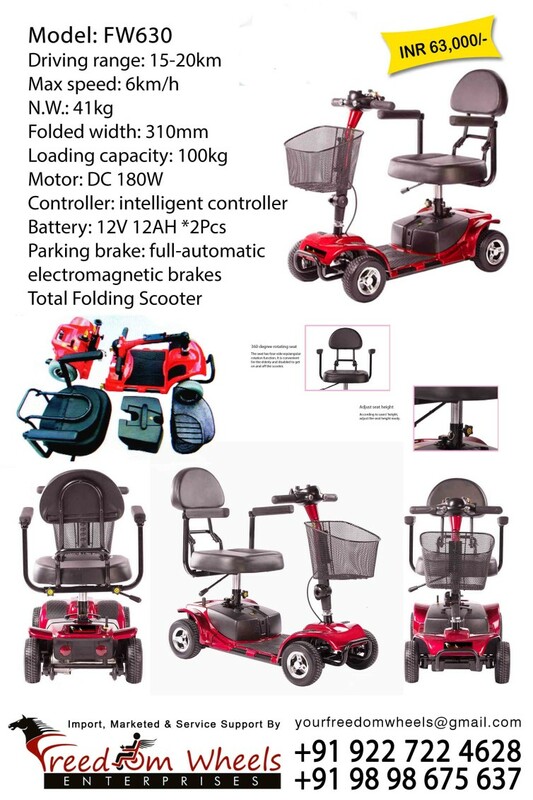 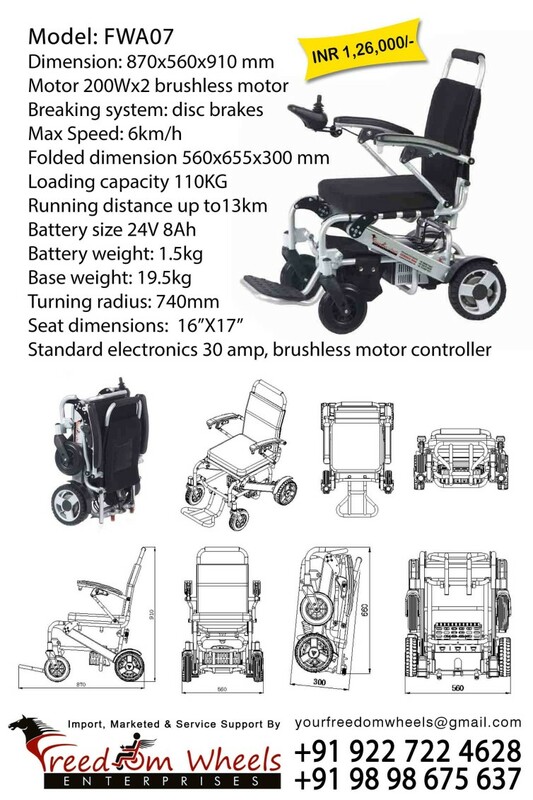 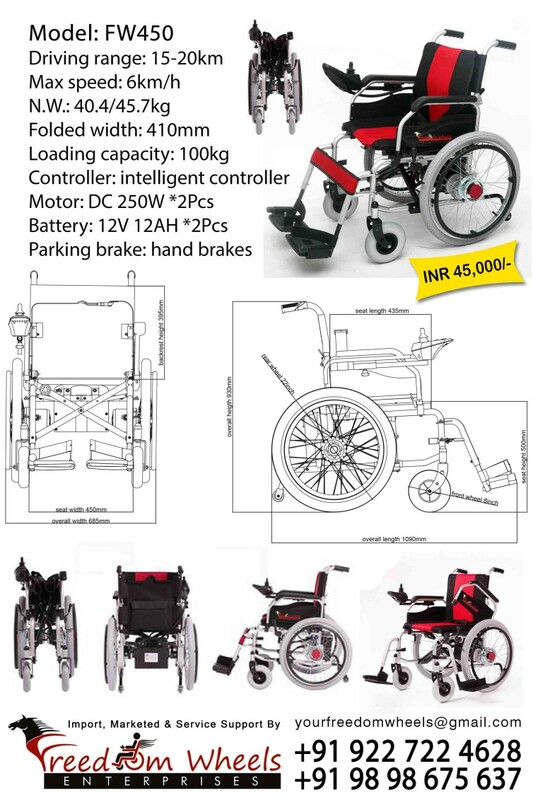 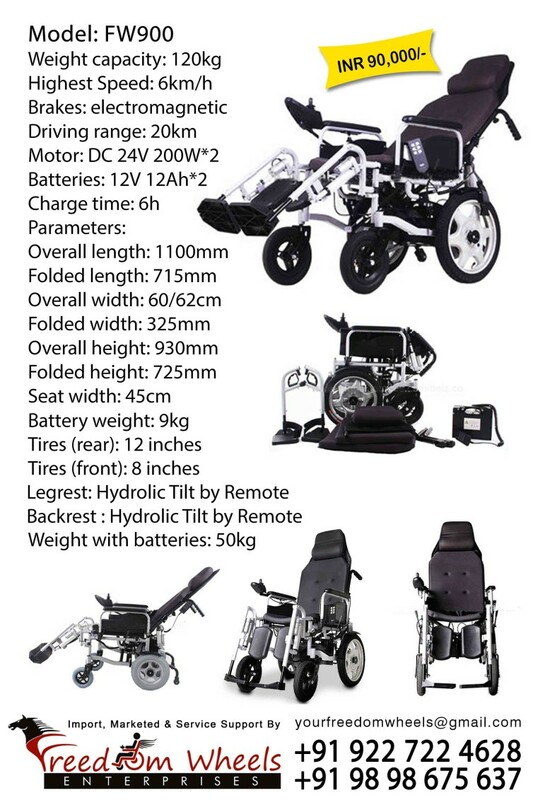 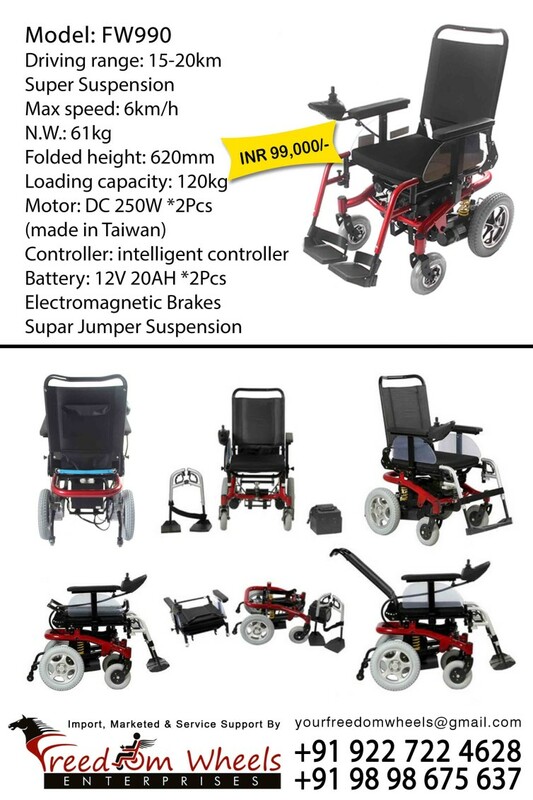 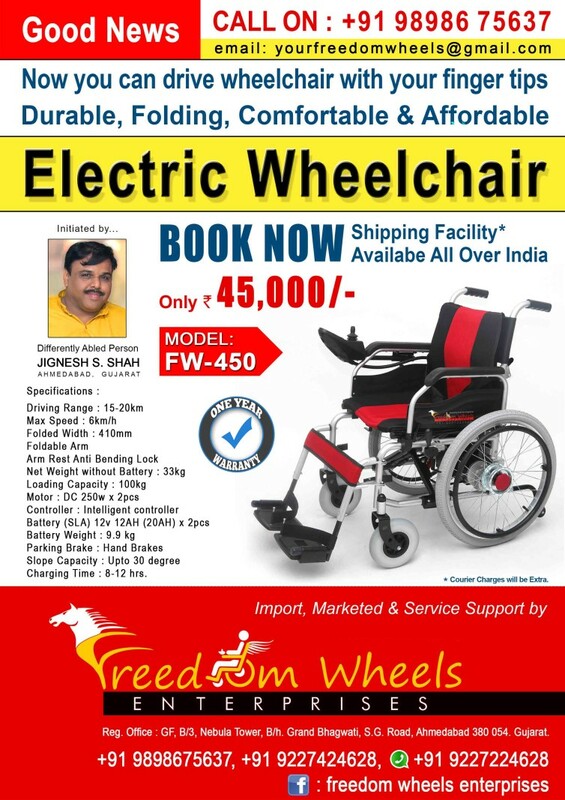 Motorsied Wheechair on EMI, Loan should be available from any nationalised bank of india for "Divyang"
Company Name : Freedom Wheels Enterprise, Located at Ahmedabad, Gujarat, India. 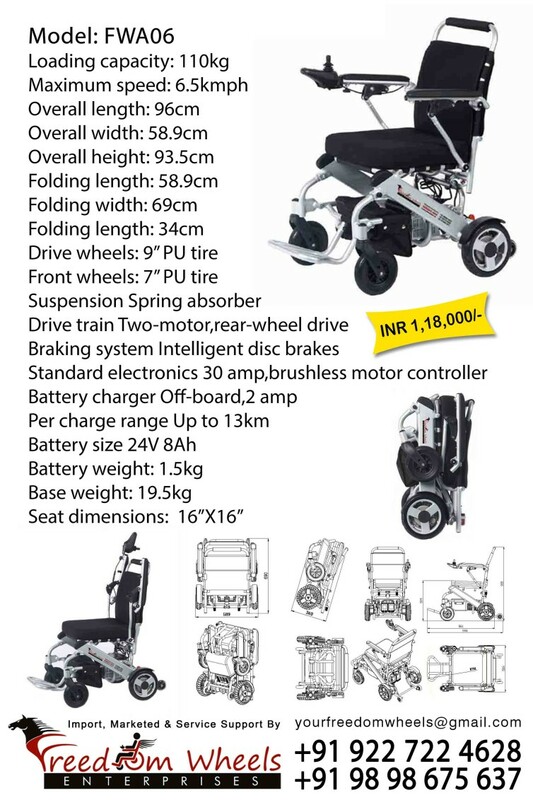 Jignesh Shah (CEO, OWNER) (Specially Abled Person) doing project for “Divyang” is India’s Most Cost Effective Motorsied Wheelchair with one year warranty. 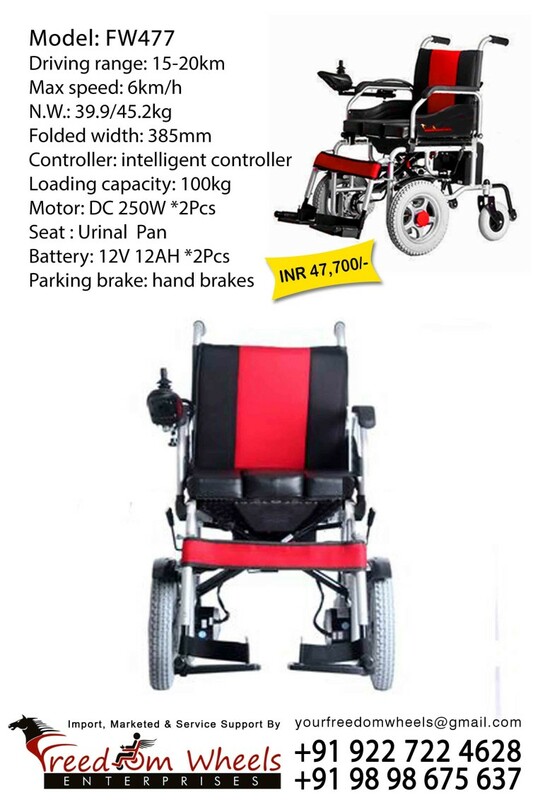 Model FW450 is just available @ INR 45,000/- Door-step Delivery facility also available. 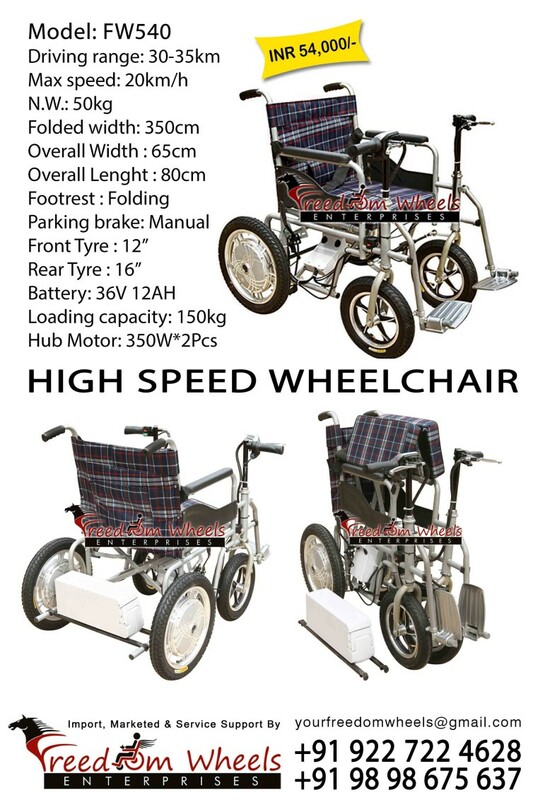 YouTube “FREEDOM WHEELS ENTERPRISE” check all Motorsied Wheelchair Video Demo.